10-Day Reset Recipes: over 20 exclusive, easy-to-make recipes nutritionally designed to help you build your best body! 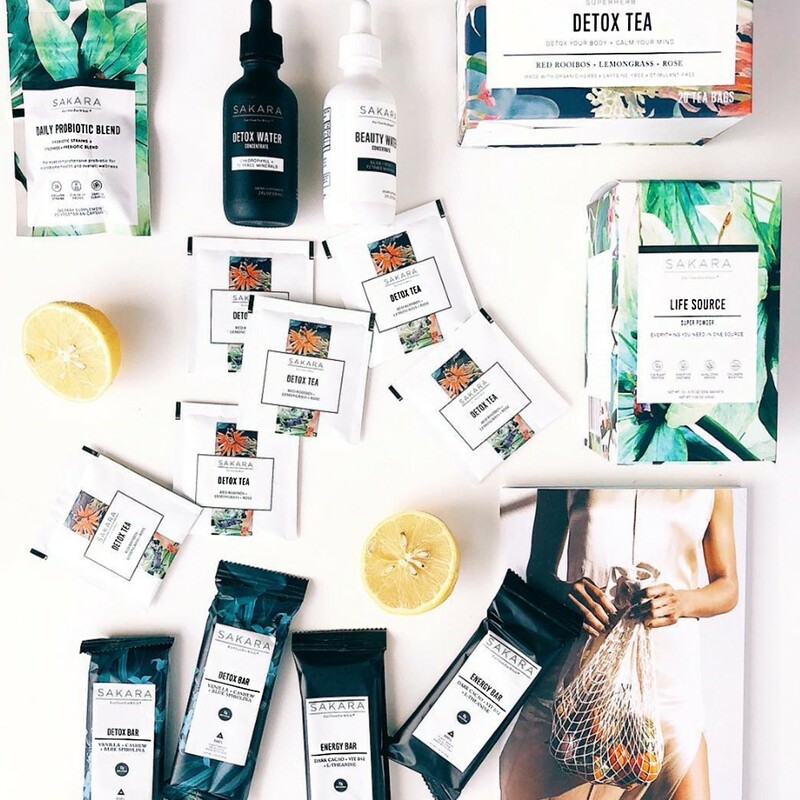 Sakara didn't start out as a business; it started as a solution to our own problems. We were battling acne, weight gain, low energy and digestive issues. We tried everything under the sun to fix it, and when nothing worked, we turned to the only thing we knew to be true-- food as medicine. We used this program to reset our bodies and get back to feeling like our best selves! This kit gives you the recipes and tools you need to make the same transformation in your own life. To look and feel your absolute best. Because when you feel your best, you can accomplish anything! 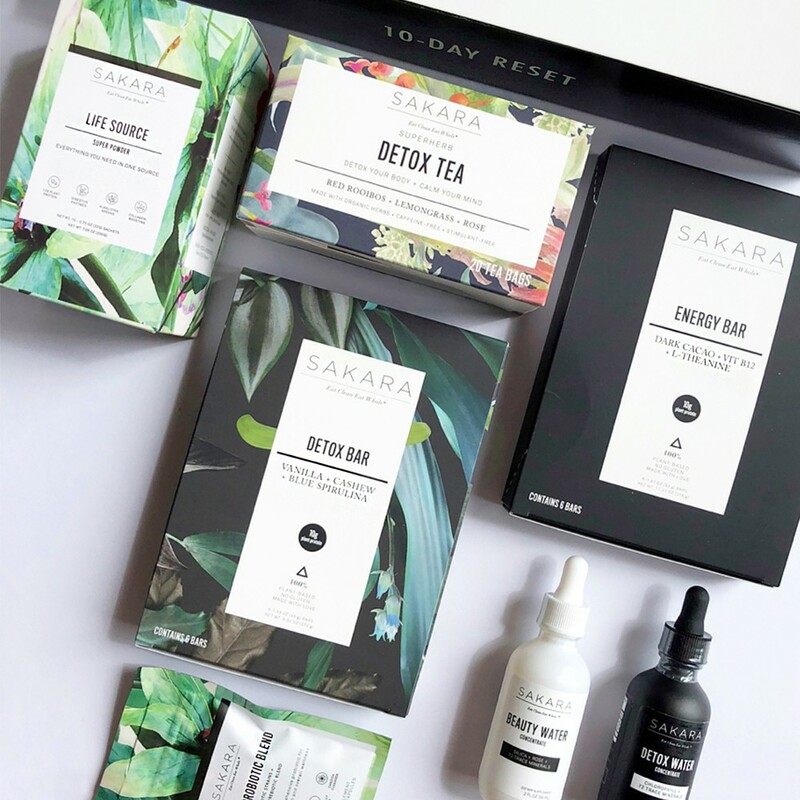 You can create your dream life-- your Sakara Life. 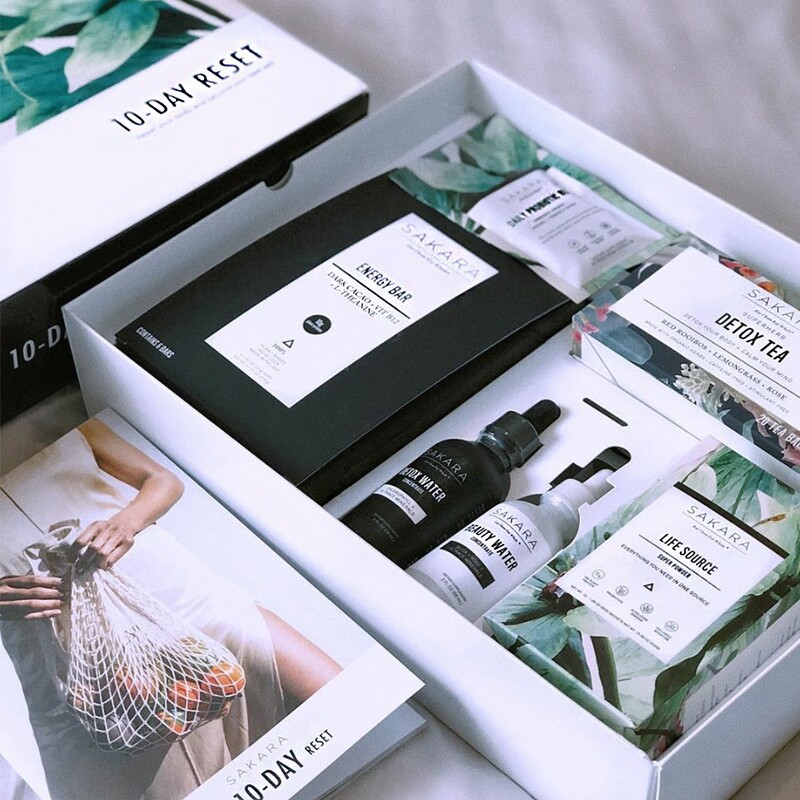 "If a more major overhaul is on the mind, look no further than their new 10-day Reset kit. Letting you reap the benefits of the Lily Aldridge–approved holistic program from the comfort of your own kitchen, the DIY boîte comes equipped with Sakara’s signature blue spirulina detox bars, daily probiotic blends, beauty water concentrates, and three-a-day easy-to-re-create recipes—garlic tahini kale fritters and rainbow summer rolls—that look just as good as they taste." "While fans like Gwyneth Paltrow, Lily Aldridge, Behati Prinsloo, and Karlie Kloss have all been spotted indulging in Sakara salads, popcorn and more, it’s now possible to reap some of the gut-healing, energy-boosting, glow-inducing benefits of the brand without signing up for a meal plan." "We found the 10 Day Reset to be much easier to do and maintain than... other programs we’ve tried. We didn’t experience any headaches or bedridden days. And at the end, we saw a difference, felt healthy, and still find ourselves using the 10 Day Reset recipes and methods on the reg."